Nasreena Ibrahim requested arrangements for her to personally attend to Gayoom’s health and “basic needs” until his condition improves. The former first lady on Sunday sought permission to stay with her husband Maumoon Abdul Gayoom at the Dhoonidhoo detention island. 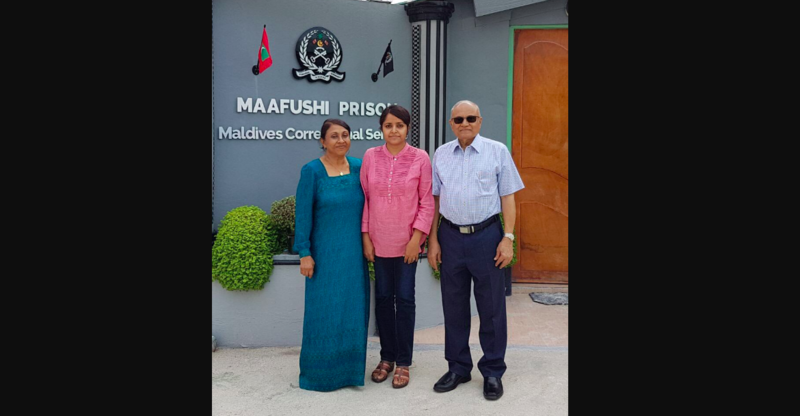 Nasreena Ibrahim appealed to the acting police commissioner to transfer Gayoom to house arrest so that his family can provide round-the-clock care for his ailing health, local media reported, citing her letter to Abdulla Nawaz. If the authorities continue to refuse, she requested arrangements for her to personally attend to Gayoom’s health and “basic needs” until his condition improves. 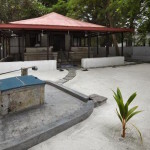 The 82-year-old, who ruled the Maldives for 30 years, is suffering from a condition called Benign Paroxysmal Positional Vertigo (BPPV) that causes dizziness. “The doctor has advised him that the risk of a fall is high and he must never be unaccompanied, which is why his family are seeking his transfer to their care,” his nephew and lawyer Maumoon Hameed tweeted. According to Hameed, Gayoom’s health was “slightly better” on Sunday. Gayoom is standing trial on a terrorism charge over an alleged coup attempt together with his son MP Faris Maumoon, son-in-law Mohamed Nadheem and several other defendants including two Supreme Court justices. All of the high-profile defendants deny allegations of treason and bribery. 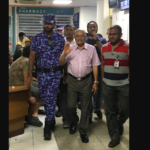 Gayoom was arrested in early February, hours after his half-brother President Abdulla Yameen invoked emergency powers in response to a Supreme Court order to release nine political prisoners. 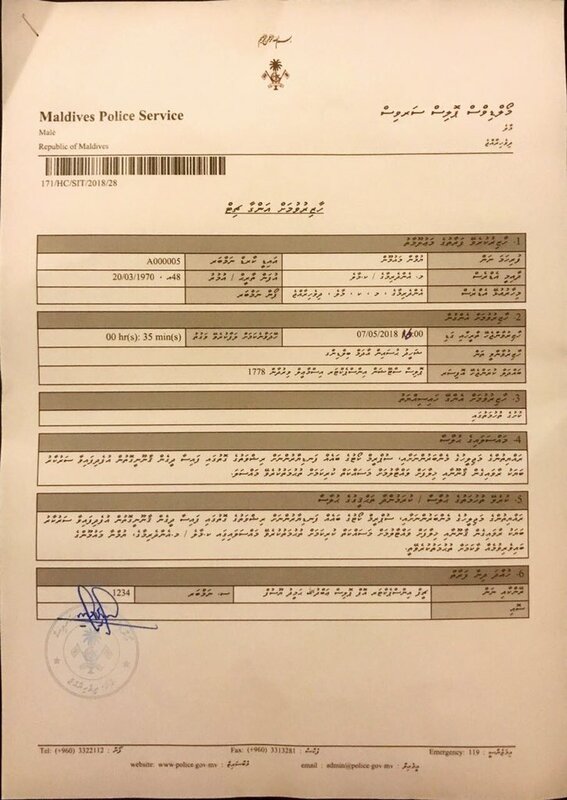 On Sunday, Gayoom’s daughter Yumna Maumoon was summoned for questioning by police over her alleged involvement in bribing judges and lawmakers to topple the government. She was asked to appear at 4 pm on Monday but has since sought a postponement. 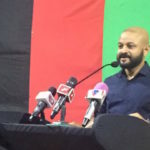 Gayoom’s youngest son, Ghassan Maumoon, meanwhile remains a state minister at the president’s office. 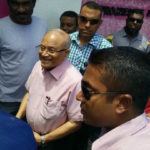 He has not spoken publicly or been seen with other family members and supporters who gathered outside the courthouse for Gayoom’s trial dates. Earlier on Sunday, former president Mohamed Nasheed advised the president that there was no political cost to releasing Gayoom to house arrest, as Jumhooree Party leader Gasim Ibrahim also appealed for medical care for the elder statesmen. You already have Pres. @maumoonagayoom @afarismaumoon MP & @MNadhym in custody.